There are many times when you just want something that is easy to make, but you also want to impress family and friends. For those moments, this easy Bourbon Tea is a great option, particularly on the warm days of summer. The tea is very easy to make and it can be thought of as an enhanced, spiked variation on the popular Southern Sweet Tea. To create it you will need to choose your favorite bourbon whiskey and tea blend. The real magic of this drink, however, is when we use limoncello as the sweetener. This is a brilliant use for the sweet lemon liqueur and it is what makes this recipe stand out from every other whiskey tea cocktail you will find. The recipe can easily be increased to serve to an entire party as well. Brew the tea and mix everything up ahead of time, store it in the refrigerator, and serve over ice when thirsty guests arrive. In a double old-fashioned glass add bourbon and limoncello. Almost any bourbon whiskey will be great in this Bourbon Tea recipe and it is a simple enough drink to warrant experimentation with different brands. High-end bourbons with a smooth profile and full-bodied flavor are going to be best and Makers Mark or Buffalo Trace are two of the recommended brands. Limoncello is a sweet dessert liqueur with a delicious lemon flavor. Many distilleries produce a version of limoncello and some of the best come straight from Italy. If you have a local distillery, check with them because many micro-distilleries today are producing a fantastic limoncello as well. Of course, if you are adventurous, you can always make your own limoncello. When it comes to the tea, you have even more options. 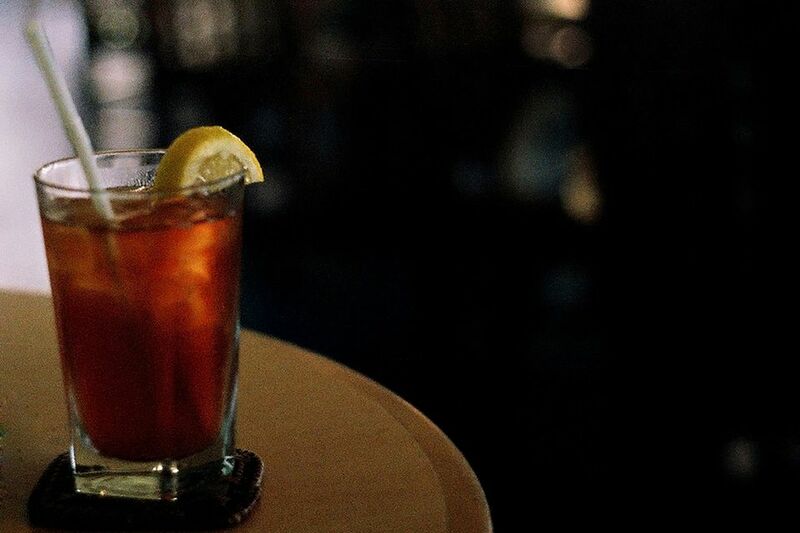 This drink would be best with a quality neutral-flavored tea, whatever you would normally use to brew iced tea. A quick way to get more flavor out of your teas is to use the hot brewing method, which requires less than 5 minutes to steep (depending on the type of tea you choose). Once the tea is at its full flavor, chill it in the refrigerator until it is time to mix up a drink. If you need to chill the tea quickly, simply place it in the freezer for about 5-10 minutes. Even this can be sped up by splitting the tea into smaller portions (just enough to make the first round of drinks) because less liquid volume will cool faster than an entire batch. How Strong Is the Bourbon Tea? There are many variables in the Bourbon Tea that will determine how strong the finished drink is. This particularly true if you choose to make a DIY limoncello because many of those recipes begin with a grain spirit that is over 100 proof and the rest of the recipe will determine its finished strength. To get a general idea, let's make a few assumptions. We will use an 80 proof whiskey and a 60 proof limoncello. In this scenario, this Bourbon Tea recipe is a gentle drink, coming in at right around 11 percent ABV (22 proof).